Groundwater is the lifeline for food and drinking water security in India. The aquifers are exploited and often overexploited recklessly without taking into account its physical and hydraulic characteristics, groundwater chemical characteristics and resource availability. In an endeavour to map the aquifers and decipher the groundwater regime in a holistic manner in a three-dimensional environment, globally unprecedented in its scale, the National Project on Aquifer Mapping and Management (NAQUIM) programme has been launched by the Government of India. The programme envisages to cover ~25 lakh km2 mappable area of the country in a time-bound manner. The outcome of the programme in the form of aquifer maps and management plans guides the planners and stakeholders to adopt area- and aquifer-specific appropriate strategies including both demand and supply side interventions at local scale, so as to ensure the sustainability of groundwater resources. The database and the outputs of the programme are being shared with the stakeholder departments and efforts being made to reach out to the communities to empower them to manage the resource sustainably. 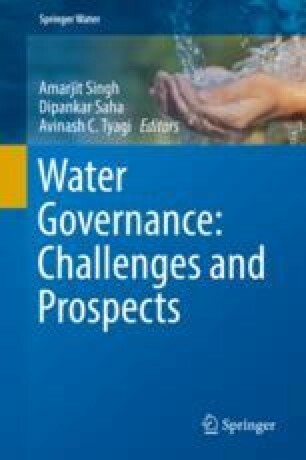 The authors extend their sincere thanks to the chairman of Central Ground Water Board and Member Head Quarter for their valuable guidance and support and agreeing to incorporate the figures/data for this article. Thanks are extended to all members and RD of CGWB for their untiring support during the preparation of this manuscript. The views expressed in the paper are of the authors and not of the department.